Here is a list of top tourist attractions in Laos. Only the topmost tourist destinations are presented here. 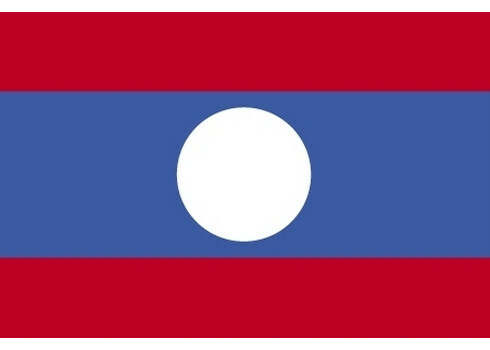 To see other destinations, please check the images from Laos section. Curious if any of these place from Laos made it our best tourist attractions in the world list? Read the aformentioned article in order to find out. You can also view all tourist attractions in Laos and other countries on our tourist attractions map. Vat Phou or Wat Phu is a ruined Khmer temple complex in southern Laos. It is located at the base of mount Phu Kao, some 6 km from the Mekong river in Champasak province. There was a temple on the site as early as the 5th century, but the surviving structures date from the 11th to 13th centuries. The temple has a unique structure, in which the elements lead to a shrine where a linga was bathed in water from a mountain spring. The site later became a centre of Theravada Buddhist worship, which it remains today. Pha That Luang is a gold-covered large Buddhist stupa in the centre of Vientiane, Laos. Since its initial establishment, suggested to be in the 3rd century, the stupa has undergone several reconstructions as recently as the 1930s due to foreign invasions of the area. It is generally regarded as the most important national monument in Laos and a national symbol. The Bolaven Plateau is an elevated region in southern Laos. Most of the plateau is located within Champasak Province of Laos, though the edges of the plateau are also located in Sekong and Attapeu Provinces. It is located between the Annamite Mountain Range, along which runs Laos’ eastern border with Vietnam, and the Mekong River to the west, at about 15°N 106°E﻿ / ﻿15°N 106°E. The plateau's elevation ranges approximately from 1,000 to 1,350 metres above sea level The plateau is crossed by several rivers and has many scenic waterfalls. The name Bolaven makes reference to the Laven ethnic group which has historically dominated the region. However, domestic migrations by the Lao ethnic group has resulted in widespread interethnic marriage, thus modifying the ethnic composition of the region. Wat Xieng Thong is a Buddhist temple, located on the northern tip of the peninsula of Luang Phrabang, Laos. Wat Xieng Thong is one of the most important of Lao monasteries and remains a significant monument to the spirit of religion, royalty and traditional art. There are over twenty structures on the grounds including a sim, shrines, pavilions and residences, in addition to its gardens of various flowers, ornamental shrubs and trees. Haw Phra Kaew is a former temple in Vientiane, Laos. It is situated on Setthathirath Road, to the southeast of Wat Si Saket. The interior now houses a museum and a small shop.